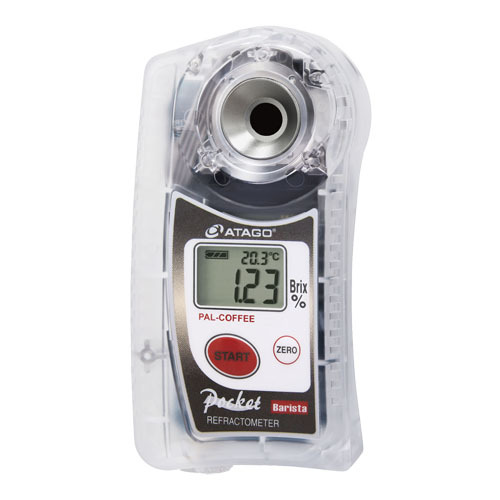 PAL-COFFEE(Brix scale), which	famous Baristas are using for their important tools, has the high resolution of 0.01%.The subtle difference in the concentration of coffee and espresso can be measured.Stable readings are possible even with high-temperature, fresh brew due to the continuous measurement feature. For TDS scale, please choose PAL-Coffee(TDS). 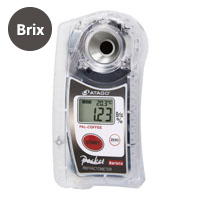 For Double scales of Brix and TDS, pleas choose PAL-Coffee(BX/TDS). (C) 2003-2019 ATAGO CO.,LTD, All rights reserved.